If you’re applying for or renewing your electrical contractors licence in Qld you know you’ll need insurance, but how do you know how much to pay? All insurers have different ways of pricing their policies, and depending on which one you go through, you could be paying a lot more than you need to be. In this guide we’ll take a look at what your public liability cost should be and how you can find the best deal. We will look at each step below in more detail. The very first step is to determine what your needs are. The more you know upfront, the better your changes are of getting a good deal. 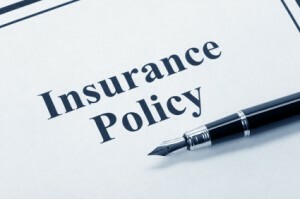 You can read more about the insurance requirements for Qld electricians by following this link. Some electrical contractors may need additional cover depending on the type of work they are doing. If you plan on doing work for any specific organisations, ask them if they are happy with the minimum $5 million cover or if they need a larger amount. If you are unsure of your needs you should speak with an insurance broker who specialises is looking after tradespeople. Once you know what you need the next step is to research the market. You could simply call this ‘shopping around’ but there is a bit more to it. The requirement for consumer protection insurance is unique to Qld, and not all insurers and brokers are able to offer this form of cover. When you are doing your research and shopping around, be sure to ask that the cover includes the consumer protection endorsement specifically for the Qld electrical contractors licence. To save you some time, the following insurers are known to have the consumer protection option, but you still have to specifically ask for it rather than relying on them to include it. We have to stress that you MUST ask the insurer for the Qld electrician endorsement and confirm that they can provide the government approved certificate of currency, otherwise your policy will be worthless. The final step is to negotiate! Most insurers will not budge on their pricing, but if you use an insurance broker you may find that they are able to offer a better deal. To find a suitable insurance broker try searching Google for ‘electrician insurance’ or similar and you should find a few options worth checking out. Once you have your new policy in place you will be ready to apply for or renew your electrical contractors licence.